FREE Grammar Checker. Just Type In Your Sentence And Let Us Do The Rest! Why not use our FREE grammar checker? Even seasoned proofreaders need a little help from time to time! Sorry, we can't display the widget. English grammar is something of a minefield. Even seasoned proofreaders and editors occasionally find themselves struggling to ensure a sentence is grammatically correct. Ginger is a very useful piece of grammar checking software. Its greatest advantage is that it actually teaches you better grammar. So, consult it once over a particular issue and you'll probably find that little nugget of English grammar embedded in your brain for the rest of your life. Now in its eighth year and third edition. Thousands of copies sold worldwide! 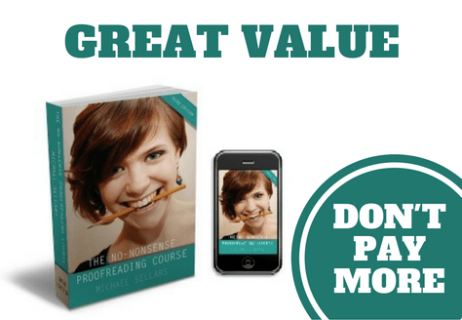 You can earn as much as $35 per hour as a proofreader! 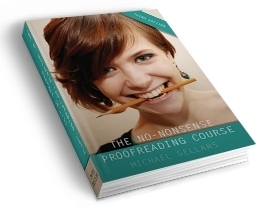 So, why not try The No-Nonsense Proofreading Course for just $48.99? You'll make your money back in just two hours! That's a single, small proofreading assignment.